What does the word honeymoon really mean? 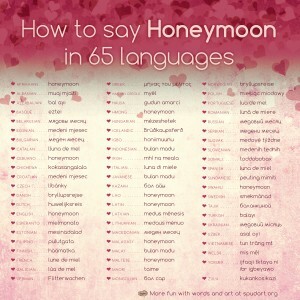 On my creativity blog I explore the etymology behind the word honeymoon, along with how to say "honeymoon" in 65 languages. The German translation is interesting, so is the Chichewa version. Check it out.